Hey, y'all! I'm Megan, and I blog over at Life of a College Girl. Today, I wanted to share with you lovely readers about some gifts I've given to my sweet guy to show him just how much I love him! Gotta give full credit to Pinterest though, without that, I would not be as creative as I am! 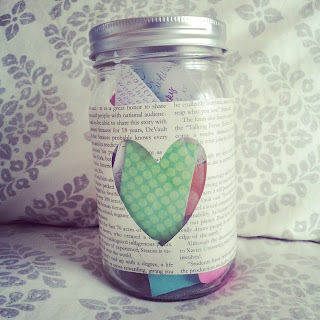 First off, we have 'The Jar of Love' and if I'm completely honest, that isn't what I call it, just needed a catchy little title to go along with this craft! Essentially, this craft is so easy. First, cut the newspaper how you'd want it to look on the jar. I cut out a heart, but you do what you want! Then use Modge Podge to stick it on the jar, but careful! It gets veryyy messy. Let it dry, and the hard part is over. 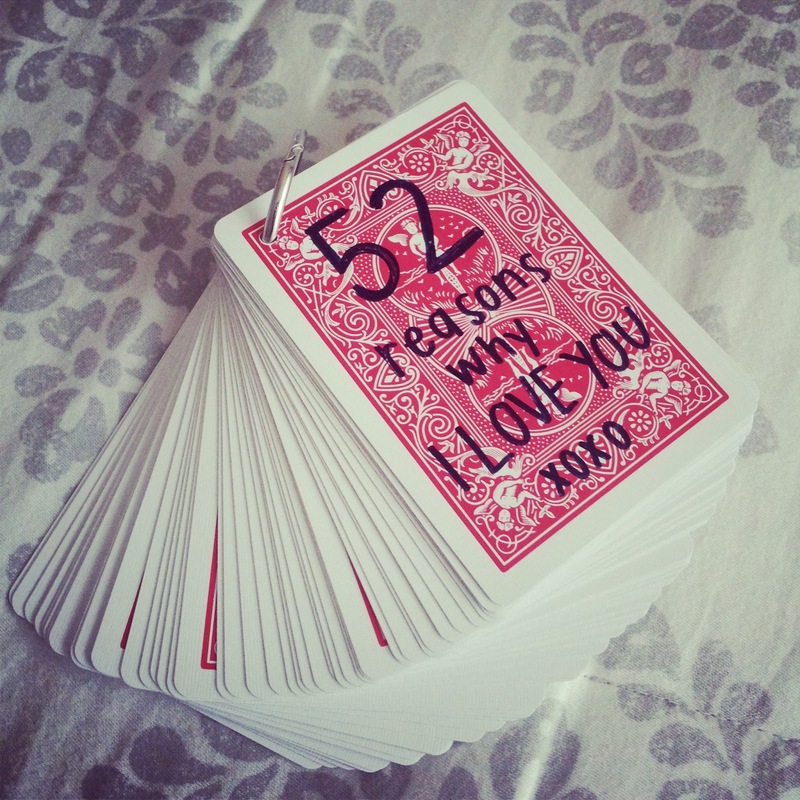 And then, there is the '52 Reasons Why I Love You' idea. 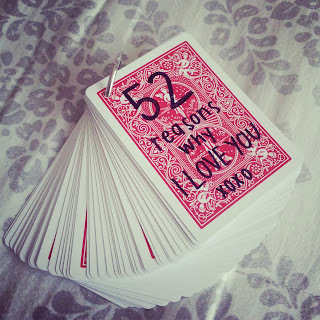 All you have to do is think of 52 reasons why you love someone! It seems easy enough. I have been with my boyfriend for two and a half years, but it took me FOREVER to think of 52 things! Call me a bad girlfriend, but holy smokes y'all...forever. I suggest typing them out so you can double check to see if you have any repeaters! After you have all your ideas, write them out on the red side of the card! But WARNING: you need to let them sit out and dry before stacking them all back up! Learned that the hard way, you're welcome. 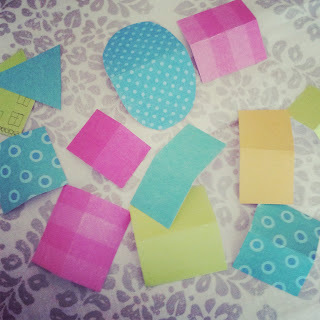 ;) Punch the holes in the cards, I used a smaller circle to punch it out, it was one I had in my crafting supplies already! Then you are complete! There is nothing better than telling someone you love them, and sometimes we take that for granted. 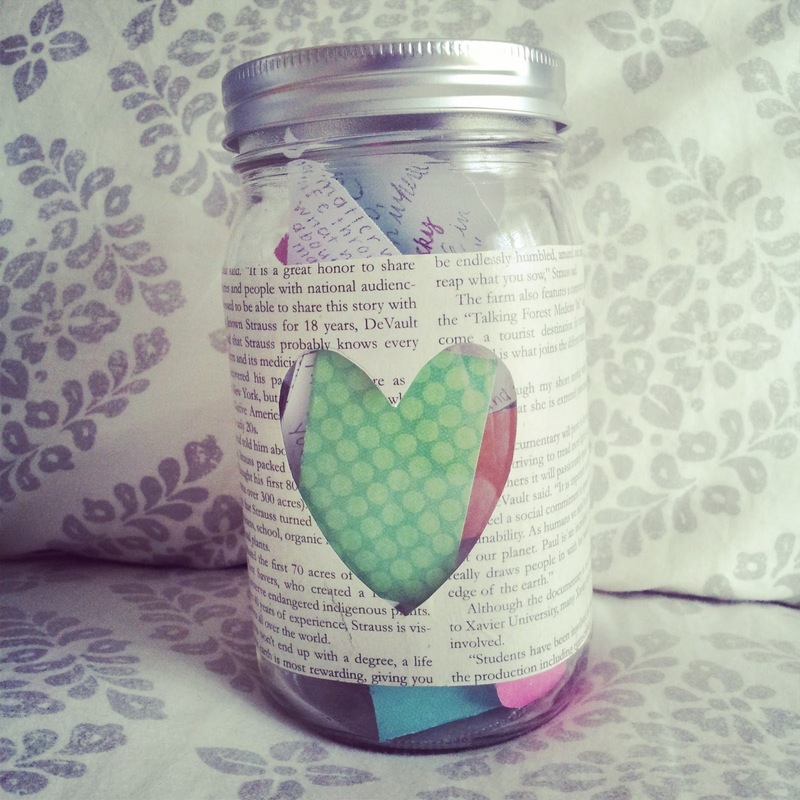 So by these craft ideas, I'm sure you will make someone feel very loved! If you want to read more about me, visit my blog! I'd love to meet some new readers. Happy honeymoon Jamie and Adam! all about the Leakey wedding!